100’s of videos are now available on YouTube covering a broad range of astrological subjects. Every subject is explored in depth by World-class astrologer David Cochrane. David Cochrane is main author of the Kepler, Sirius and Pegasus programs. He is the lead programmer and professional astrologer at Cosmic Patterns Software. Daivd is also the author of the Major Life Themes Report, Harmonic Highlights Report, and AstroLocality Report. He has a BA degree in psychology, was a practicing astrologer in the mid 1970’s and switched to computer programming in the late 1970’s. He still practice astrology at the present time on special cases. David began his astrology practice in 1973. He is a well known speaker in astrological community and astrological conferences. His lectures are well attended and well received. 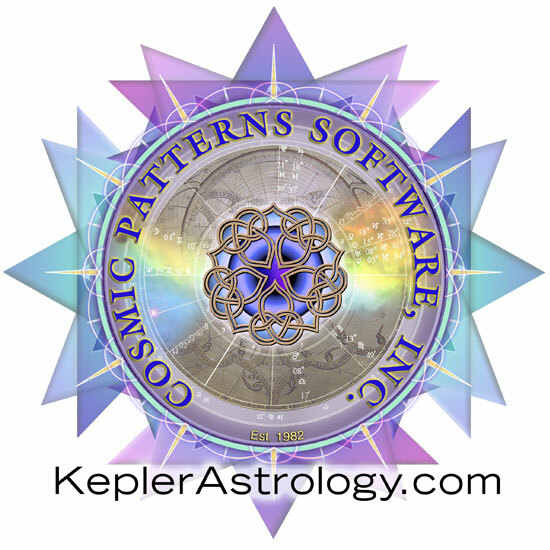 He is the founder Cosmic Patterns Software Inc., and is the lead software programmer of the development team that makes the Kepler and Pegasus astrology programs. He received a B.A. degree in 1972 with a major in psychology. David pioneered some new theories of astrological interpretation using harmonics and midpoints in the 1970’s, but since that time has been devoted to developing astrology software. David plans to continue working on and supporting his astrological programs for many, many years. Tutorial videos on Sirius and Kepler. NOTE: Sirius is used in these tutorial videos, but the basic features are in Kepler as well. Sometimes it is mentioned if a feature is not in Kepler. Transits, Progressions, Directions, Rectification, Financial, Ancient, Cosmobiology, Harmonics, Symmetrical, Animated Wheels, Time Line, Forecast Graphs, etc. Special Topics: Asteroids, Degree Meanings, Parans, Vedic, Planet Nodes, etc. Research methods, research studies, and investigations into what astrologers do and whether the information provided by astrologers is accurate or useful.